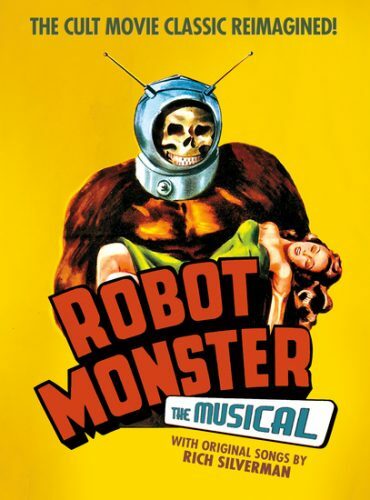 The Hollywood Fringe Festival has a long and storied history of making musicals out of cult classic films, and #HFF17 is no exception as we witness the world premiere of Robot Monster the Musical, with songs and book by Rich Silverman. Not only is this Silverman’s first Fringe experience, it’s his first theatrical experience entirely. He took some time out of the dizzying production schedule to answer some questions about the show. Are you a fan of ‘50s sci-fi or of bad cult movies in general? If so, what are your favorites? You know, my answer may surprise people. I’m not really a diehard fan of cult movies or “bad” movies. I’m sure I would lose at trivia night on the subject or on Jeopardy. I’ve never even really been into the Ed Wood catalog. I find his personal story more interesting than his work. I do love The Room, though, but who doesn’t? You’re tearing me apart! Tell us a bit about the inspiration behind the show. Robot Monster is a film I’ve loved for literally decades. I’m also a big fan of the Great American Songbook and Broadway’s golden age – from Jerome Kern through Lerner & Loewe, really. I attempted a musical once years ago and always thought I would try again. When I attended a screening of Robot Monster a few years ago in Hollywood, it just popped into my head that it would be a great musical, and here we are! Are there modern references in the piece that will resonate with audiences? Like the movie, the show is set in the 1950s. It works best that way. Most of the modern references are really thematic. 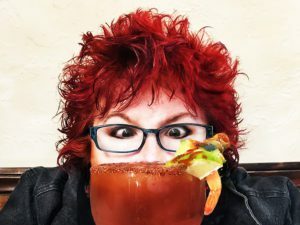 There are some things in there – mostly about anxiety and neurosis – that feel more relevant to today’s audiences than they may have in the ’50s, or at least they’re not quite as repressed! About as modern as I get is Philip Glass and Lawrence Welk, and I’m pretty sure this is the first show in history to wink at both. Obviously you don’t have to be deeply familiar with the original film to enjoy the show. How did you manage delineating the plot and exposition while squeezing in 16 original songs? Oh that’s easy. The film doesn’t have that much plot to begin with! There’s some clumsy exposition in the movie, which I’ve retained for its absurdity, but at least 10 minutes of the 60-minute original is spent watching Ro-Man and other characters walking around Griffith Park. What about the music? Is there a particular style or is it a potpourri? As I mentioned, my frame of reference is our great standards. While I would never in a million years compare myself with those songwriters, about half my songs are in a Sinatra/‘50s vein along with my take on Broadway ballads, plus a smattering of pop, a hint of opera and a maybe a tad of Sparks thrown into the mix. How did you go about casting the piece? How does the cast contribute to the show? It all just kind of came together and in a really great way. We held auditions and Derek Long, the show’s director, and his assistant director, Pam Paulson, brought in people they’ve worked with before. I also have a friend of mine in the cast, Val Peterson, who is a very talented and versatile professional singer. Talk about knowing the Great American Songbook – she probably has 1,000 songs memorized. Val’s more into Ella Fitzgerald, whom I consider the second greatest singer after Sinatra, but we don’t fight about it – not too much, at least. How do you manage the strict Fringe 15-minute load-in and load-out? Did you come up with some creative solutions? Is this your first Fringe experience? How have you been enjoying it? This is my first theater experience! And I’m Jewish, so I don’t enjoy anything. Since the Fringe is a community rather than a competition, what other productions stir your interest? I’m very interested in other new musicals. I’ve gotten friendly with a few creators. I just bought a ticket to Comic-Con the Musical (also at Sacred Fools). There are other shows I find really interesting because of their somewhat obscure and/or intellectual source material, like a play about the Algonquin Roundtable and the baseball player, Mungo. Finally, can we watch Robot Monster the Musical without 3D glasses? Only if you don’t mind getting hit in the eye with a bubble. Robot Monster the Musical plays June 4 through June 23 at Sacred Fools Theatre, 1076 Lillian Way. Tickets are $15 and can be purchased online or by phone at (323) 455-4585. As a special offer for Fringe participants, the June 4 performance is pay-what-you-can. This interview was originally published on BlogCritics.org. July 27, 2018 The TVolution 2018 Hollywood Fringe Awards!